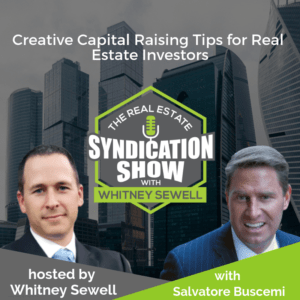 Salvatore Buscemi, Managing Partner, Dandrew Partners LLC shares some creative capital raising tips that will help you get investors on board for your real estate projects. How did Salvatore raise $5 million by networking with accountants? Why does Salvatore think that raising money for folks dealing in medical marijuana is a good idea? You will also learn how to structure your messaging and communication for greatest effectiveness. 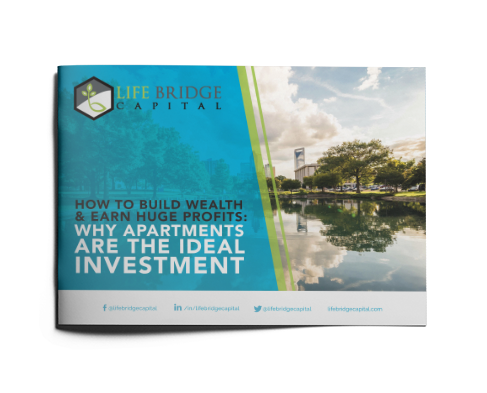 Other topics covered include prepping promotional material, advertising projected returns and maintaining an open line of communication after closing a deal. Learn every detail of setting up your capital raising business at The Capital Formation Intensive March 28-29, 2019 in Las Vagas! [05:57] – What was Salvatore modus operandi when he first started raising capital? [19:45] – Should you advertise projected returns in your promotional material? [27:28] – Should you be handling your own accounting? [33:04] – Is it a good idea to send out personalized letters to your investors? [34:36] – Does a professional attire help you when pitching a deal to investors? [41:34] – Schedule a call with Whitney now!